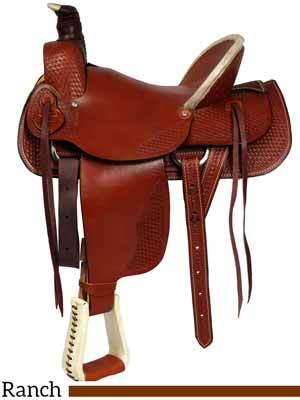 Dakota ranch saddles, like their other saddles and tack, are known for high quality at reasonable prices. 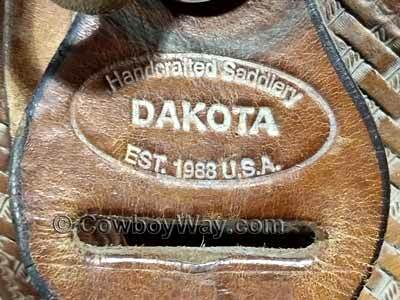 Dakota Saddlery uses excellent materials in their saddle making, including leather from the USA. They are located in Idler, Alabama. 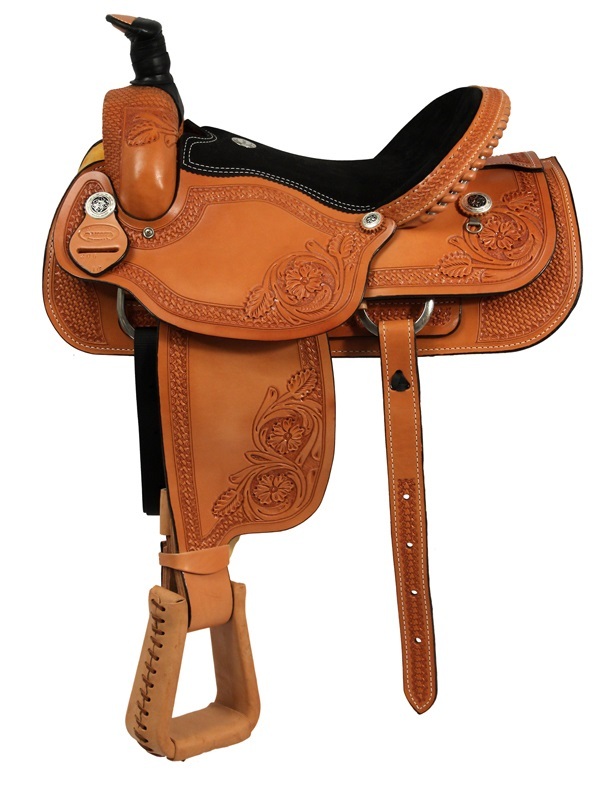 Below: A Dakota ranch saddle from HorseSaddleShop. 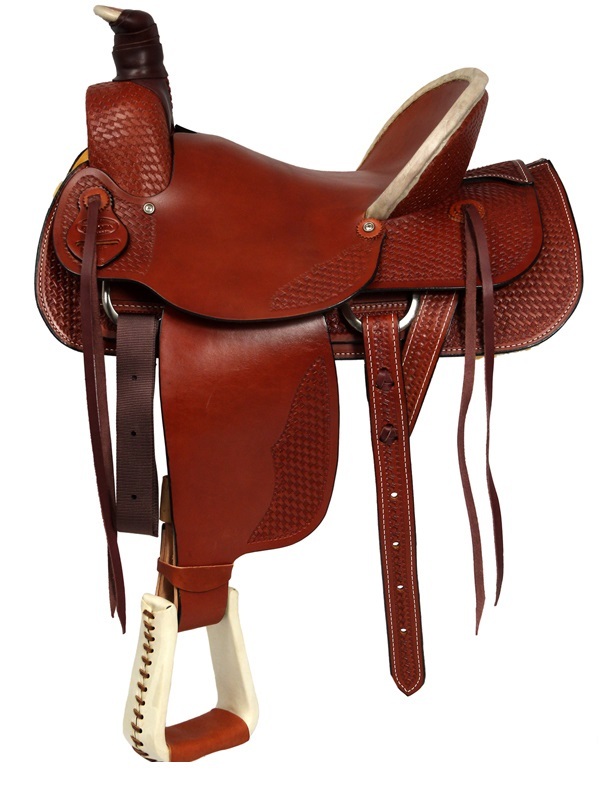 This one is the Dakota Hard Seat Ranch A-Fork Saddle with 7/8 rigging and a 5″ cantle. Below are Dakota barrel saddles for sale from HorseSaddleShop.com (aka eSaddles) and eBay. The selection of Dakota ranch saddles on eBay is usually fairly small. However, they do often have some so it’s still a great place to check when shopping. 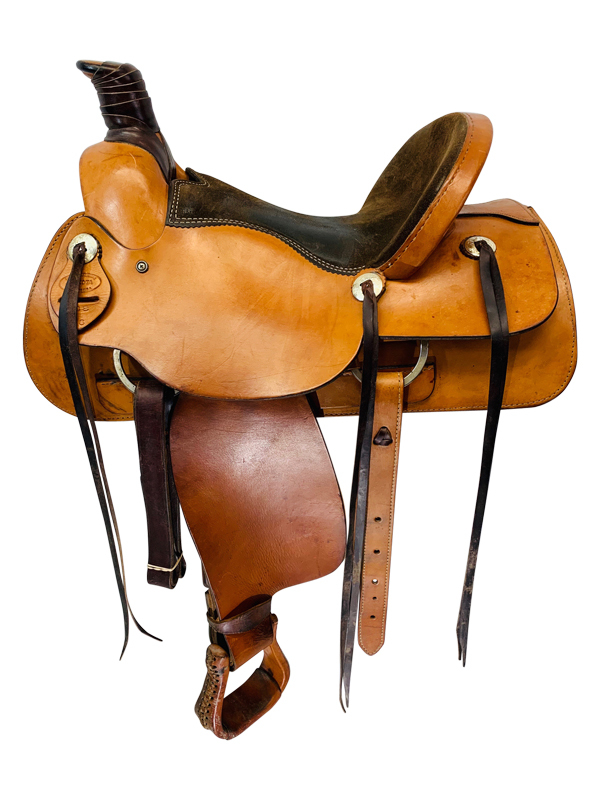 Dakota Saddlery has been making handcrafted saddles since 1988. They have a reputation for quality and excellent craftsmanship. 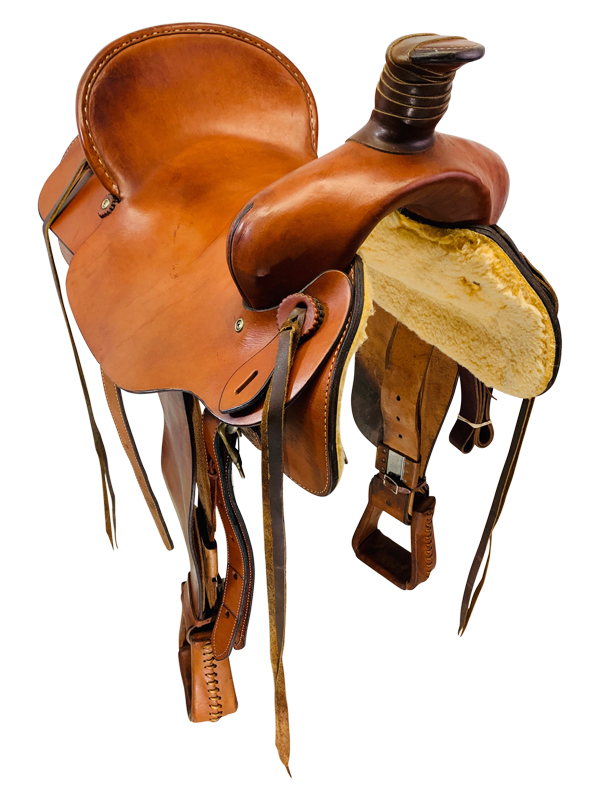 Below: A close up photo of a Dakota Saddle’s latigo keeper.